IFJ Bricks has dedicated its experience in alternative building technologies to developing the interlocking building system that have been made out of high-strength concrete that can be used to make buildings rapidly, cheaply and energy efficiently. Interlocking bricks made for easy access to infrastructure elements so that portions of walls don't need to be torn down for maintenance. The bricks feature open internal spaces for insulation, which means that buildings made with the bricks require less energy for heating and cooling. 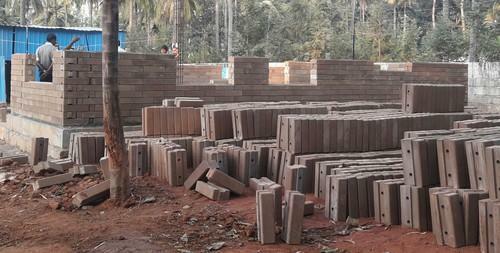 Comparing to other material our interlock blocks have good strength and life. Our blocks doesn’t require plastering and are resistant to earthquake.